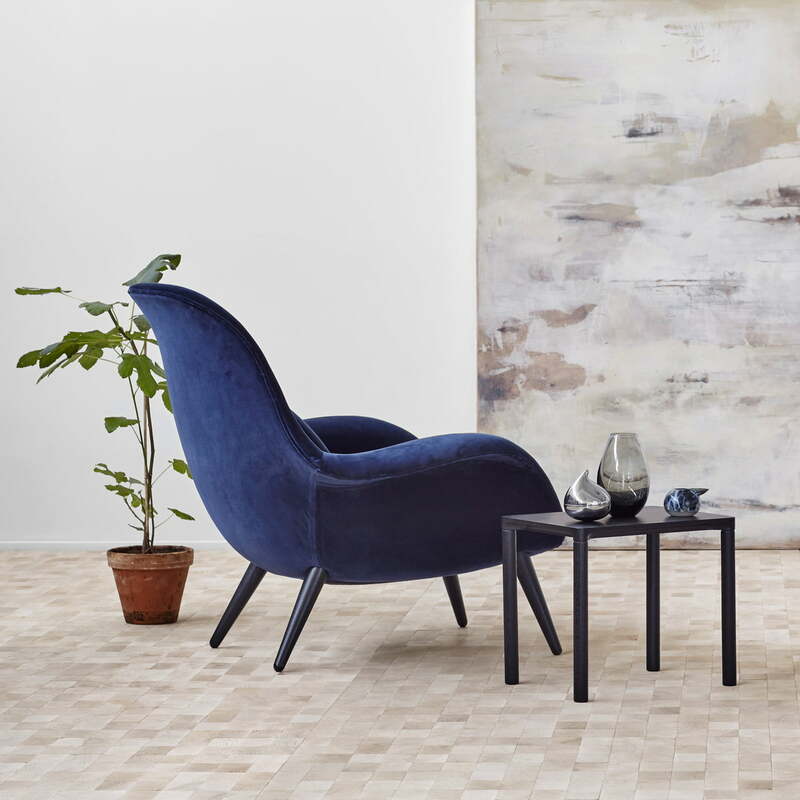 The Swoon armchair is a creation by the designer team Space Copenhagen for Fredericia. The duo wanted to create a seat that represented a combination of an armchair and a lounge chair, meaning that it would be extremely comfortable yet without taking up too much space. When developing the chair, the designers placed particular emphasis on comfort. Its size was also reduced so that it could be used in different facilities. Thanks to the soft contours and organic shapes, the lounge armchair invites you to relax and is elegant and cosy at the same time. The padded cushions on the seat and the backrest ensures the outstanding feel-good character. Upholstered with a Kvadrat fabric, they are characterised by their soft texture and high quality workmanship. The comfortable armchair is as suited for the living room as it is for public lounge areas. Thanks to the elegant and comfortable appearance, the seat is a real eye-catcher in any furnishing style. 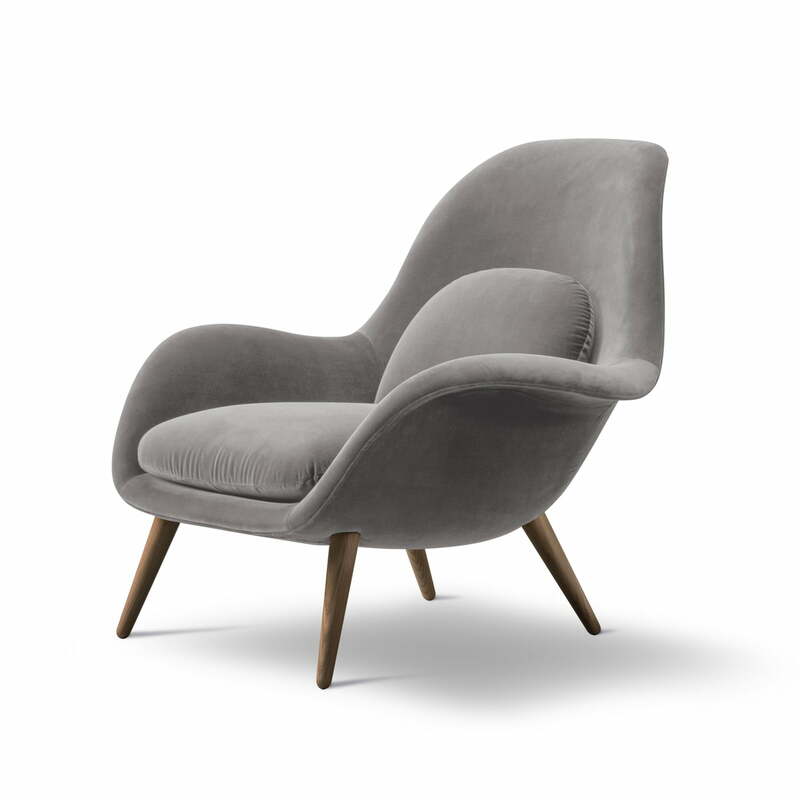 The Swoon armchair by Fredericia in oiled oak / light grey (123 Remix). 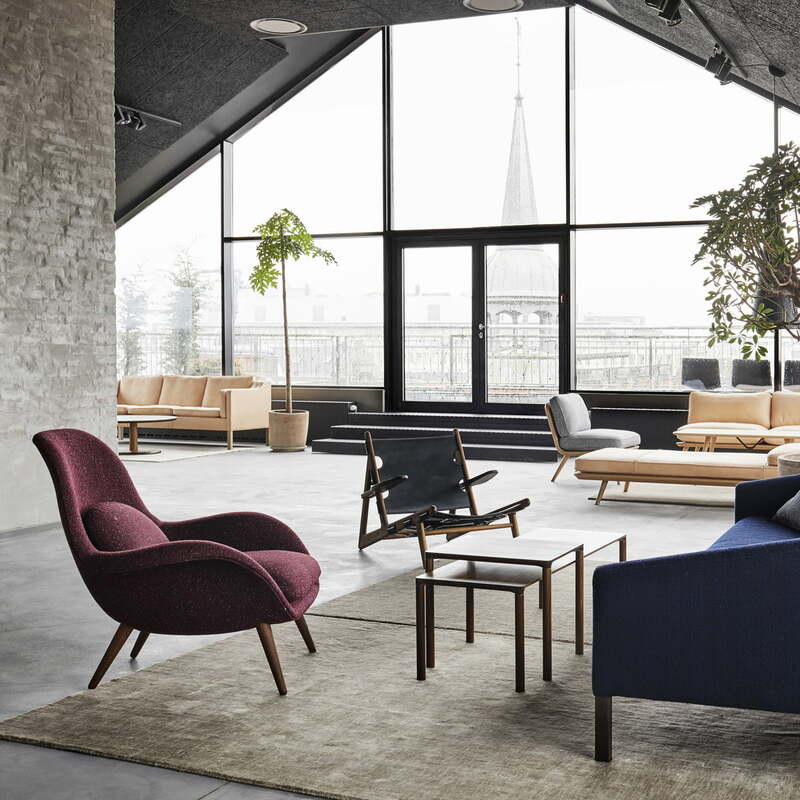 The armchair is a design by the designer team Space Copenhagen for Fredericia. 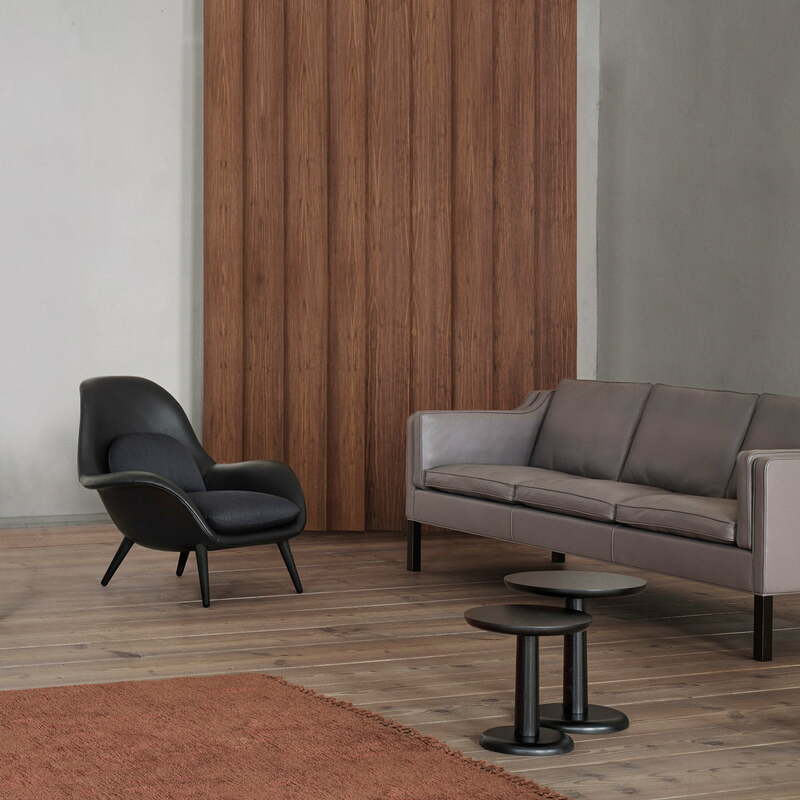 Swoon armchair by Fredericia in smoked oak / grey (Harald 3 / 143) Thanks to the soft contours and organic shapes, the lounge armchair invites you to relax and is elegant and cosy at the same time. 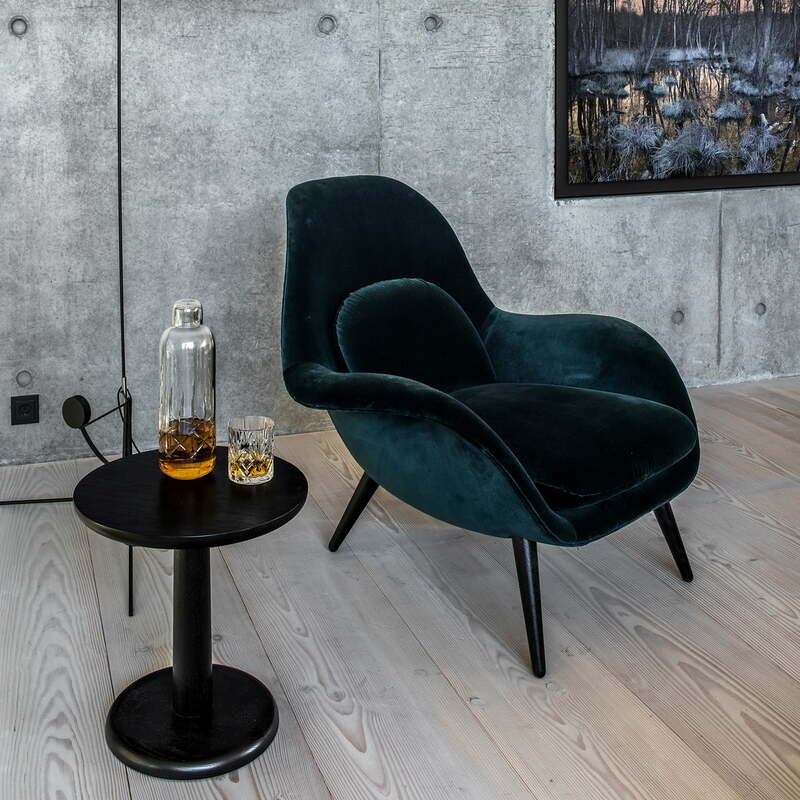 Lifestyle product image of the Swoon by Chair Space Copenhagen for Fredericia. Thanks to its elegant and comfortable appearance, it is an eye-catcher in any environment. Space Copenhagen wanted to create a seat that represents the combination of an armchair and a lounge chair and is therefore extremely comfortable yet doesn’t take up much space. 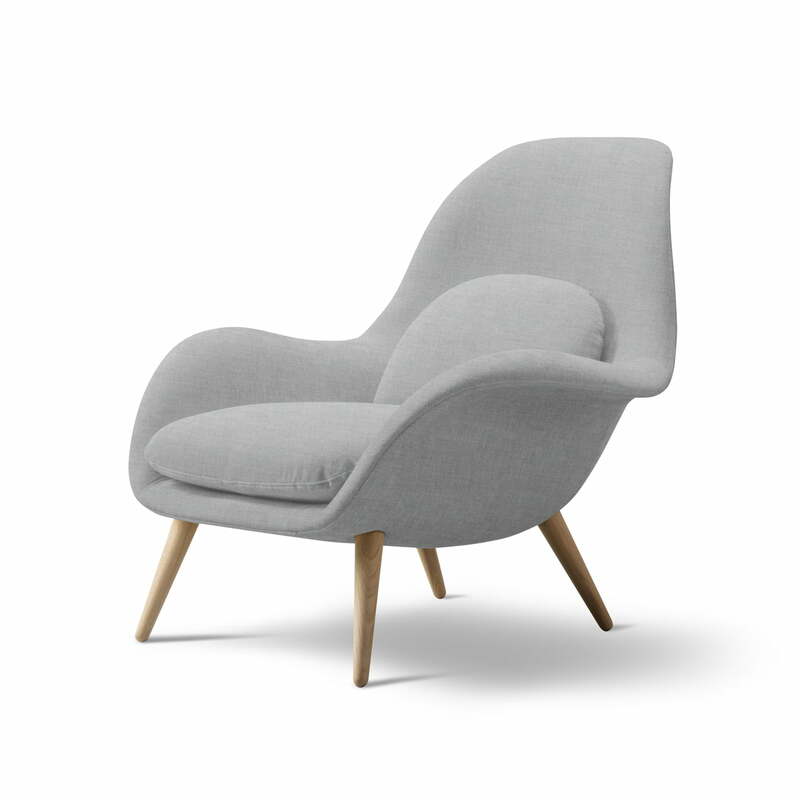 Lifestyle product image of the Swoon armchair by Space Copenhagen for Fredericia. The harmonious overall appearance of the armchair is complemented by tapered wood legs.